Being one of the most dynamic and fastest growing sector in the world, 2018 was a landmark year for the Indian retail sector. The sector witnessed unprecedented investments by international players and the competition between ecommerce companies and traditional retailers to capture the market share was at peak. Another major move in the retail sector was decisions by brands to downsize the store formats. 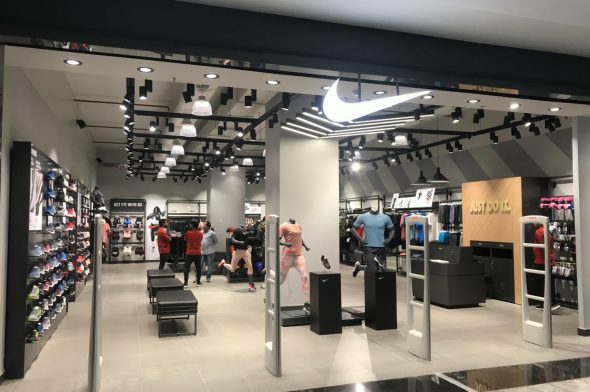 However, even as the debate of the relevance of brick-and-mortar stores continues, retail brands continue to invest in physical stores and strengthen their presence. According to The Associated Chambers of Commerce and Industry of India report, the Indian retail market is expected to reach $1 trillion by 2020. Adding to this, another study by JLL suggests that the country is expected to see the highest mall supply in the next three years (2018 – 2020) touching 19.4 million square feet. Brands are increasingly investing in Tier 2 and Tier 3 cities to capture the untapped potential. Hence, it’s evident that physical stores are set to gain more momentum in the coming years. In the context of physical stores, brands are redefining the purpose and the traditional one-size-fits-all store formats are decreasing. Today, physical stores are not just delivery points, they are experience centres as well. Besides products and offerings, shopping is equally influenced by the design and ambience of the store. Fixtures are no longer just meant to place products, they are an integral part of a brand’s identity and storytelling. They resonate with brand message and helps to connect with the target audience. For example, a clothing brand store requires more shelves and POS systems, whereas a sportswear brand store needs more gondolas, hangers, mini shelves and spacious interiors. Over a period of time, a customer can easily relate the fixtures with a particular brand as each brand has a different approach in designing retail outlets. The importance of quality fixtures and shop fittings cannot be underestimated in retail store design and visual merchandising. Innovation is a constant process in the shop fit and fixtures industry. The latest technology being used in retail stores are Virtual Fixtures based on the concept of augmented reality, Smart Mirrors, Digital Displays, Virtual Reality, etc. Though India is behind western markets in terms of integrating technology with fixtures, the country is slowly catching up, and will integrate new technologies to cope with developing trends, and store fixtures will have to adapt accordingly. Brands are looking for quality and durability of fixtures. Finish quality has gone up and technology is being integrated at various levels. As brands continue to redefine the purpose of physical stores and make it more meaningful, both in terms of consumer satisfaction and ROI, they rely on experienced and quality focused shop-fit manufacturers to partner with them. Adding to this, the solo entrepreneurs entering the retail market and traditional retailers who wish to revamp their business rely on professional shop fitters for retail store design, visual merchandising, and shop fits, etc. Hence, demand for shop fitters only continues to grow. The shop fit and fixtures industry has evolved considerably coping with the ongoing development of trends in the retail industry. In recent years, attempts are being made to integrate digital technology into stores as well as offering customers with both online and offline options. Concept of Virtual Reality and use of Artificial Intelligence is slowly making its way into stores. Brands have realised the importance of shop interiors and ambience in enhancing shopping experience and engaging customers. Hence, brands are now investing in shop fits and fixtures more than ever before and are more conscious about the look and feel of their stores. As the organised retail industry continues to grow in the country, it presents a great opportunity for the shop-fit industry. Sundar S, Co-Founder & MD, Dovetail Furniture Pvt Ltd.
Sundar S is the co-founder and Managing Director of Dovetail Furniture Pvt Limited. An India-based retail fixtures and furniture design and manufacturing company in business for over 3 decades, Dovetail has partnered with brands like Levis, Marks & Spencer, The Children’s Place, Pantaloons, Calvin Klein, Unlimited and many more for their conceptual design, value engineering, prototyping, manufacturing to installation. The company also designs, manufactures and supplies ergonomic friendly furniture and fixtures to schools, educational institutions and co-working spaces. The company has a manufacturing facility at Bangalore which is spread over 2 acres and equipped with latest technology for wood, board, and metal working. It also houses spacious design studios which showcase latest works, samples and design.